Available for download from Microsoft Pinpoint, the System Center Pack for Operations Manager 2007 R2 Management Pack Version: 6.1.7672.0, alerts you to problems with components such as agents, management servers, the Operations Manager database, agents, modules used by workflows and services so that you can continue to monitor the servers and clients that your business depends on. The management pack includes tasks that you can automate to get easy access to common diagnostic tools, such as restarting a health service or reloading an agent configuration. 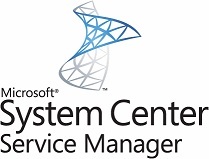 The Service Manager Management Pack should be used to monitor Service Manager 2010 and includes monitors for the management server as well as the Data Warehouse server. In this release of the management pack, the Data Access Service, Health Service, Configuration Service, and workflows are monitored. Updated release, version 6.0.6794.0, to resolve an issue with discoveries failing to query the Win32_PowerPlan WMI class.